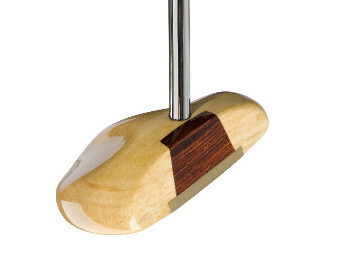 Craftsman made to the highest standard, each putter is face balanced to ensure maximum consistency, feel and accuracy. Weather sealed. Includes lined leather headcover, hand-made in UK from quality Italian leather. Luna: Great looks and balance, with a natural persimmon head and striking dark grained cocobolo insert for maximum feel. Centre shafted. BrassEye: A varied profile with increased volume for players seeking a heavier head with maximum stability. 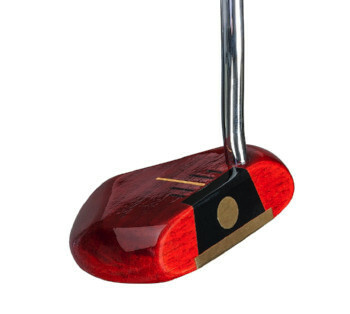 Solid persimmon head with cycolac/brass eye insert. Double bend offset shaft. 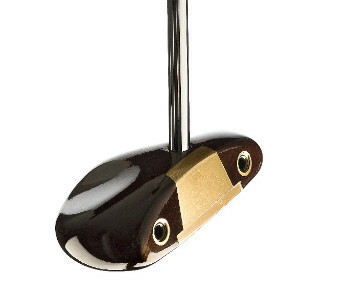 Black RH/LH: Solid persimmon with responsive brass insert and soleplate. Head weight 320g Centre shafted. Price includes leather headcover and UK delivery.